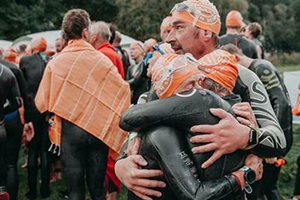 “The experience has been remarkable, with highs, lows and funny moments.” MARIA, who swam an amazing 40km to raise money for AvMA. Join our team and help to raise money for our vital work. We can help you with fundraising and publicity for your event. Our past fundraisers have had some amazing experiences. You can go it alone, or join up with friends, family, school or work colleagues for a team challenge. From shaving your head to running a marathon, there are lots of great ways to raise money and have fun so what are you waiting for?